Don't let the inner critic continue to hold you back! The biggest secret to happiness and success is the remembrance of the Truth that you are perfect, whole and complete as you are. When you feel defective, not-enough, small, or incapable, your outer world will reflect that back to you as not enough money, not enough clients, not enough clarity, not enough love, not enough support etc. Is it true that your are not enough? Is it true that to be valuable you must overcome your defects? Do you have to do more, be more, have more to be acceptable? I say no. I believe that we have an ego aspect to us, which I call the inner critic. The inner critic continually tells us we are not enough, that we must do more, and that we are somewhat defective. Just because we hear that message it doesn’t make it true. The Truth, I believe, is that within each of us lies a divine self, a place where all of our answers lie, a place that is fully empowered and knows the Truth of who we really are. When we tap into this space and hear its Truth, and buy into this Truth, our lives change for the better — bringing more success, better relationships, better health and much more fun. 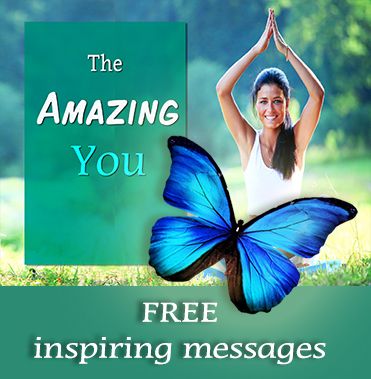 The Amazing YOU messages were designed to help you hone in on the truth of your Divine nature. The messages include quotes and inspirations from many heart centered writers and teachers as well as inspired messages that come through me. I know you’re busy and are most likely receiving lots of e-mails. For this reason I make these messages short, sweet and to the point. Many clients, friends and subscribers have been amazingly inspired by these messages. 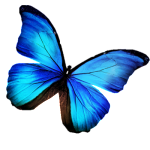 If you are ready to improve your relationship with yourself, and see yourself through the eyes of goodness then I strongly recommend that you sign-up for these messages. I know you will love them. Enjoy! Subscribe to the "Amazing YOU"